1955 Gettysburg PA Souvenir Felt Pennant — Free US Shipping! This is a dated 1955 souvenir felt pennant of Gettysburg PA with a small silk screened graphic of the Eternal Light Memorial. In good condition with the original four ties but minor staining, fading, and pin holes may be present. 1950s-'60s era Philadelphia Zoo Souvenir Felt Pennant — Free USA Shipping! 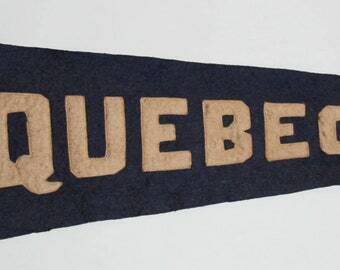 1950s-'60s era S.S. Mauretania Souvenir Felt Pennant — Free USA Shipping! 1940s-50s era Ketchikan Alaska Souvenir Felt Pennant — Free USA Shipping! 1940s-50s era Niagara Falls NY Souvenir Felt Pennant — Free USA Shipping! 1940s-50s era Empire State Building New York City Souvenir Felt Pennant — Free USA Shipping! 1950s-'60s era New York Yankees Baseball Team Souvenir Felt Pennant — Free US Shipping! 1950s era Grand Ole Opry Souvenir Felt Pennant — Free US Shipping! 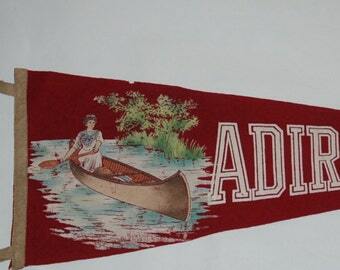 1940s-50s era Oldfields Girls' Boarding School Felt Pennant — Free US Shipping! 1930s-'40s era Souvenir of The Capitol Washington DC Felt Pennant — Free US Shipping!